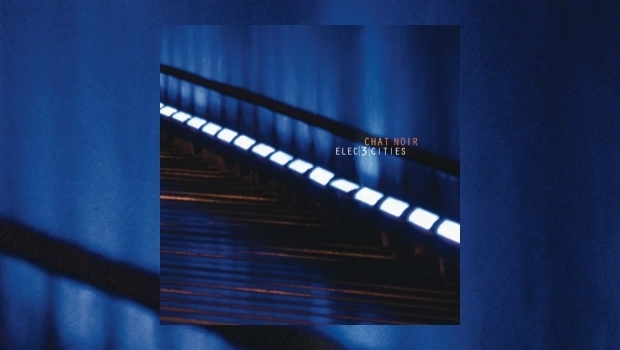 Chat Noir are an Italian trio, now up to their fifth album, who play an intriguing mix of piano jazz and electronica. The “Effects” suffix of all three players’ instrument listings below is what makes this album far more than merely piano-trio jazz. Utilising elements of chamber music, music concrete, and ambient stylings, and dusting it all with a coating of the aforementioned synthetics, the trio make an expansive sound that takes you to all manner of places. The three musicians recorded their contributions in different places, hence the album title, but the whole does not sound disparate or fractured in the slightest. As each member added a contribution to a virtual studio-in-the-cloud, that acted as a trigger for successive ideas from the other two. This ever-evolving process results in an album-as-soundscape, and that overused reviewing term “cinematic” certainly applies from the off, with opening track Avant Buddah being a thing of impending menace that halfway in changes to a perhaps more expected contemplative groove. The band venture into melancholic balladry on Chelsea High Line, led by a lyrical piano line in the manner of early Miles trumpet, backed by bowed upright bass and spacey electronica noises. The surprise comes with the end section where the menace returns in the form of some found sound shamanic speech. Very odd, and quite beguiling. The bowed bass comes to the fore in the minimalistic Ninth, another eerie trip, this time with an Eastern air. The wistful Pearls is followed by the dislocated sonics of Radio Show, where all manner of rhythmic electronic trickery is employed to great effect before a surprisingly straightforward beat kicks in, led by bass guitar and complimented by heavily reverbed electric piano, eventually returning to where we began for what in a “normal” song would be the middle eight. It is a strangely unsettling place. Peaceful starts that way, but ends defiant; initially a simple piano ballad, it is probably the most conventional thing here, which makes its statement of intent all the clearer. Our Hearts Have Been Bombed commences on a resolute Cure-like groove underlined by Luca Fogagnolo’s guitar line, and it is about as far from jazz as could be. Of course, it does not stay that way, and three minutes in the tune breaks down and is subsumed by the now familiar creepy ambience, the guitar groove returning, eventually upping the rhythm. The longest track on the album, it is also the most “rock” oriented. The album signs off with Aspekt, a slow piece that deconstructs what has gone before in fine minimalistic fashion. There are samples of a voice-as-instrument that reminds me of Clare Torry, another nice surprise. This is an album that confounds expectations, and will no doubt find a home alongside albums by Arve Henriksen, Supersilent, The Bad Plus, even Terje Rydal. This may be jazz, but it is not what you think it might be!